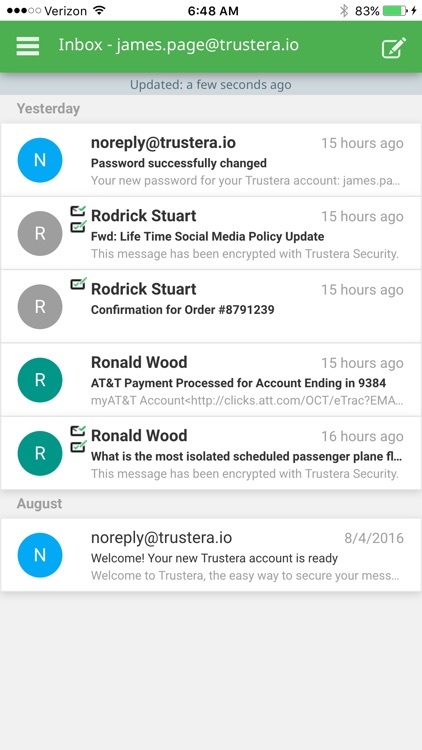 Trustera Security protects your email, using ultra secure PGP encryption in a simple, easy to use format. 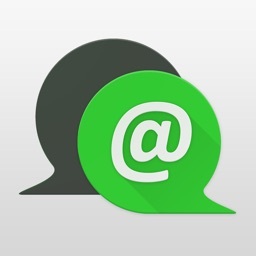 Trustera’s email services work harmoniously with your existing email service or provider. Your emails are protected regardless of where they are stored (on local servers, or in the cloud), or whatever networks they may traverse. Because Trustera uses asymmetric encryption, your emails can only be read by the intended recipient – and not by local administrators, hackers, or anyone other than who you designate. Trustera encrypts/decrypts your email locally on your system so your content is never stored (even temporarily) on our servers. Using our services is easy because we manage all the underlying keys for you. All you need to know is your passcode. Who can you share secure content with? Anyone. 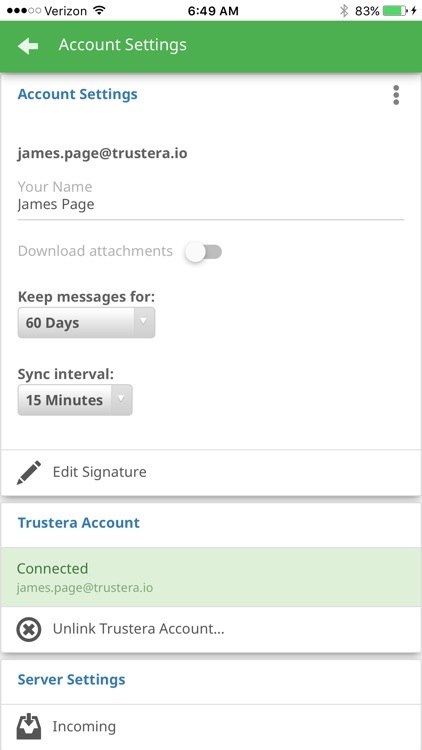 Because encryption and signing is free, all you need to do is send a potential recipient an invitation to create a Trustera account, and you and that person can share emails that are completely secure. Trustera Security makes hacking obsolete. What makes Trustera’s solution unique is in the unlikely event you get hacked, it simply won’t matter. Hackers may get your emails but there is nothing they can do with the encrypted data. Additionally, there is no concern that in the unlikely event Trustera’s servers are compromised – our servers don’t contain any of your content. 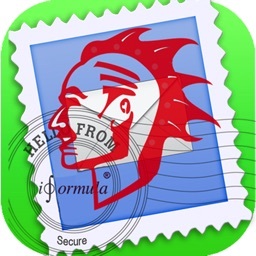 We also make your emails (when using Trustera Security) HIPPAA, CFPB, ITAR, FERPA, and CJIS compliant. 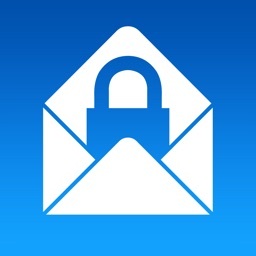 All the features you expect, making email management simple and secure. Trustera Security email client is used for all your secure email messaging, but our client is so full of features, it may become your go-to email client. 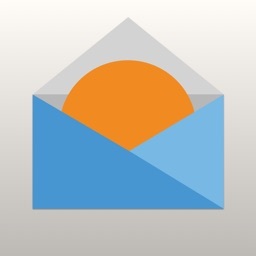 Want to continue using your existing email client? No problem. 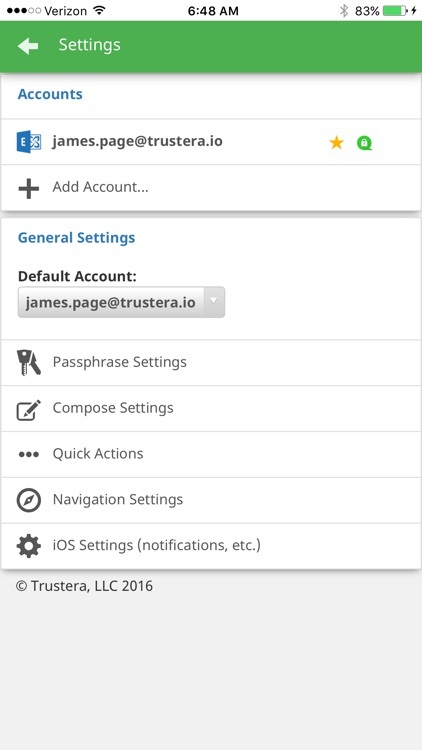 Trustera's security services can be launched when you open an encrypted email. 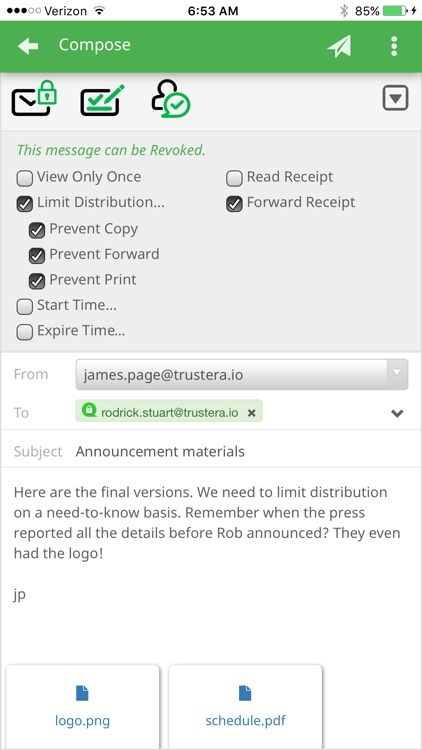 Should you need additional features such as message revoke, expiration dates you can upgrade to Trustera Premium for more Document Rights Management (DRM). Trustera Premium is available for $1.99/month, or $19.95/year. Upgrading is easy - just install the free version, log into your account and select "Licensing". Your Trustera Premium subscription will renew automatically each month (or year) and your credit card will be charged through your iTunes account unless auto-renew is turned off at least 24-hours before the end of the current period. 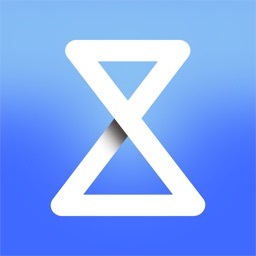 You can turn off auto-renew at any time from your iTunes account settings. Your account will be charged for renewal within 24-hours prior to the end of the current period and identify the cost of the renewal. 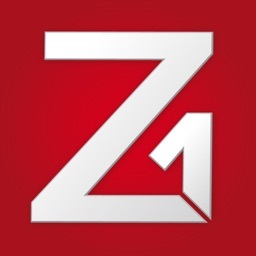 Any unused portion of the free trial period will be forfeited when you purchase a subscription. 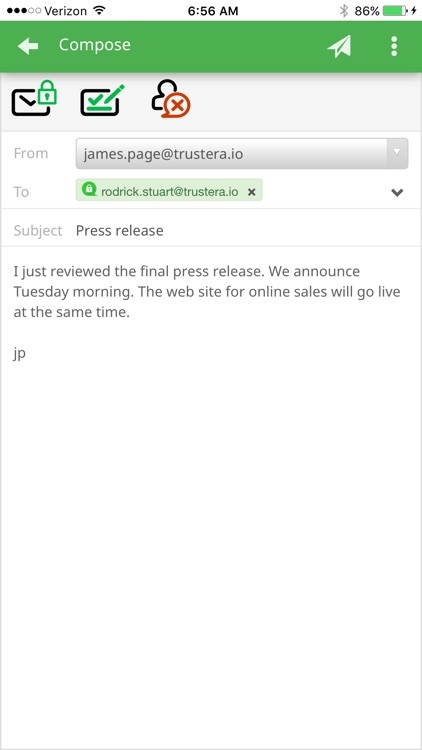 Please see https://www.trustera.io/terms-of-use and https://www.trustera.io/privacy-policy form more information.